Wilshire Finance Partners funds bridge loans into various types of exchanges, including forward, reverse and improvement exchanges. Under Section 1031 of the United States Internal Revenue Code (26 U.S.C. § 1031), the exchange of certain types of property may defer the recognition of capital gains or losses due upon sale. The result is a deferral of any capital gains taxes otherwise due. As a result, a 1031 exchange is a powerful tool for real estate investors. Under a Simultaneous 1031 exchange, the taxpayer closes the sale of the relinquished property and the purchase of the replacement property concurrently. Sometimes, this may be accomplished between the buyer and seller through a swap of property. However, because there may be a mismatch in the alignment of the timing of the purchase and sale or the desirability or fit of the collateral, often other forms of exchanges are used. 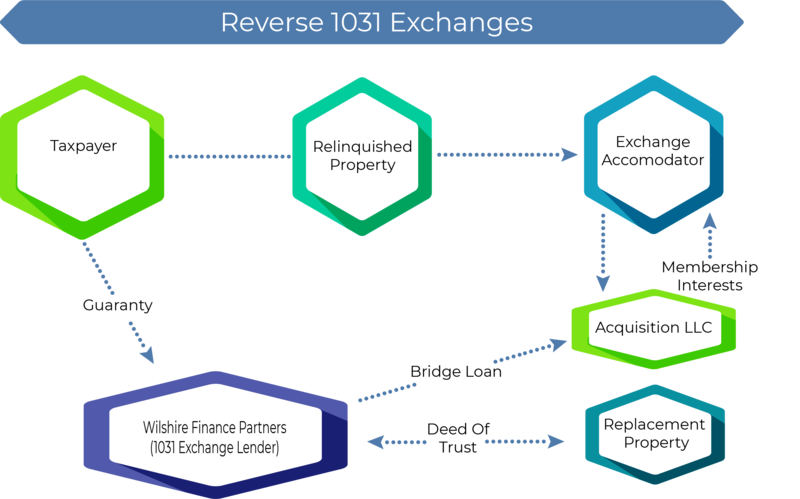 Under a forward (or delayed) 1031 exchange, the taxpayer sells the relinquished property and subsequently purchases a replacement property within the timeframes required under the 1031 exchange rules (i.e. 45 day identification period and 180 day closing period). This type of exchange permits an investor to capitalize on the opportunity to sell their relinquished property prior to finding the replacement property. A reverse exchange may be used when a taxpayer wants (or needs) to acquire the replacement property before they sell their relinquished property. Again, there is a mismatch in the timing of the transactions. As a result, a taxpayer may use a reverse exchange pursuant to Revenue Procedure 2000-37. Often this structure requires additional structure to protect the parties to the exchange, such as the use of an Exchange Accommodation Titleholder ("EAT"). The "Acquisition LLC" in the diagram provided is the EAT in the Reverse 1031 Exchange Funding Program. 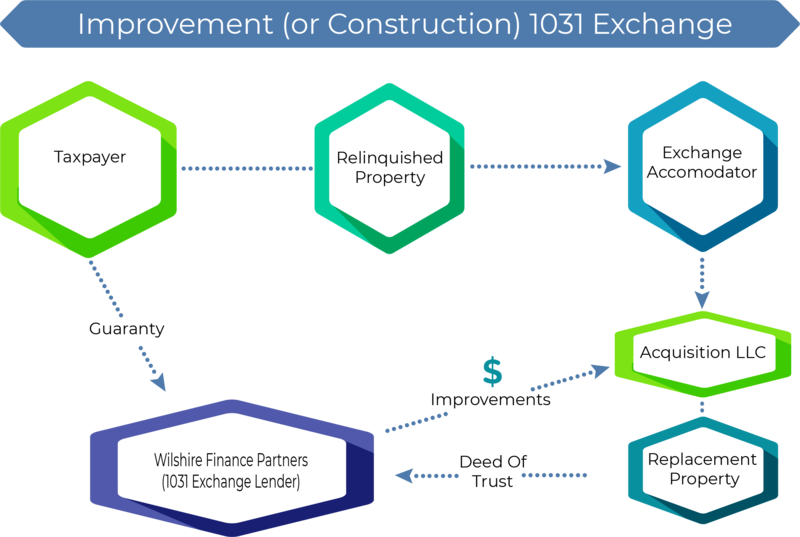 An improvement 1031 exchange allows the taxpayer to acquire a replacement property and then build or improve structures on the replacement property through the exchange. An EAT is used to park or hold the replacement property while the construction or improvements are made- all of which must be completed before the deadlines in the 1031 exchange rules. This communication is for real estate professionals only. It is not a loan approval, agreement or commitment to lend. Financing is subject to underwriting and approval. Rates and terms are subject to change without notice. Other restrictions may apply. Loans made by Wilshire Finance Partners, Inc. California Bureau of Real Estate Broker License number 01523207 and California Department of Business Oversight, Finance Lenders License number 603K729. WFP Income Fund, LLC, California Department of Business Oversight, Finance Lenders License number 603K726. WFP Opportunity Fund, LLC California Department of Business Oversight, Finance Lenders License number 603K725. 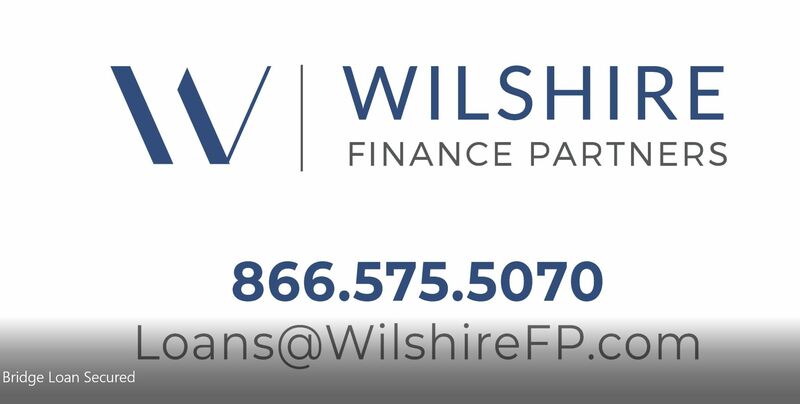 •Equal Opportunity Housing Lender• © 2018 Wilshire Finance Partners, Inc.